Hemp Bombs Max Chill CBD Shot is one of the most immediate ways to feel the full benefits of CBD. Our proprietary blend has 75mg of CBD and other all-natural ingredients for complete relaxation. 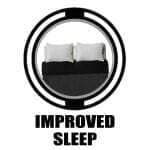 Users may experience better sleep, pain relief, enhanced mood, and many other benefits. While all Hemp Bombs products are universally loved, our CBD shot was designed for people who need on-the-go, portable relaxation. 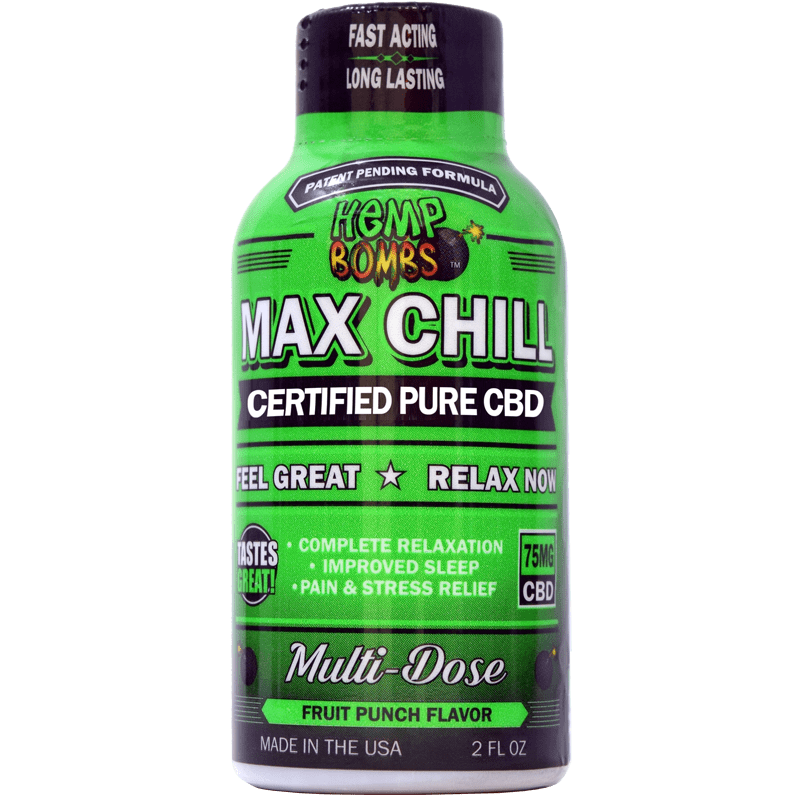 The Max Chill Shot features other soothing botanicals along with CBD – both White Willow Bark and Passionflower are natural compounds known to promote soothing relaxation. White Willow Bark is sometimes called “nature’s aspirin” because of its pain-relieving traits, and Passiflora is a popular herbal supplement known for its anxiety-relieving potential. 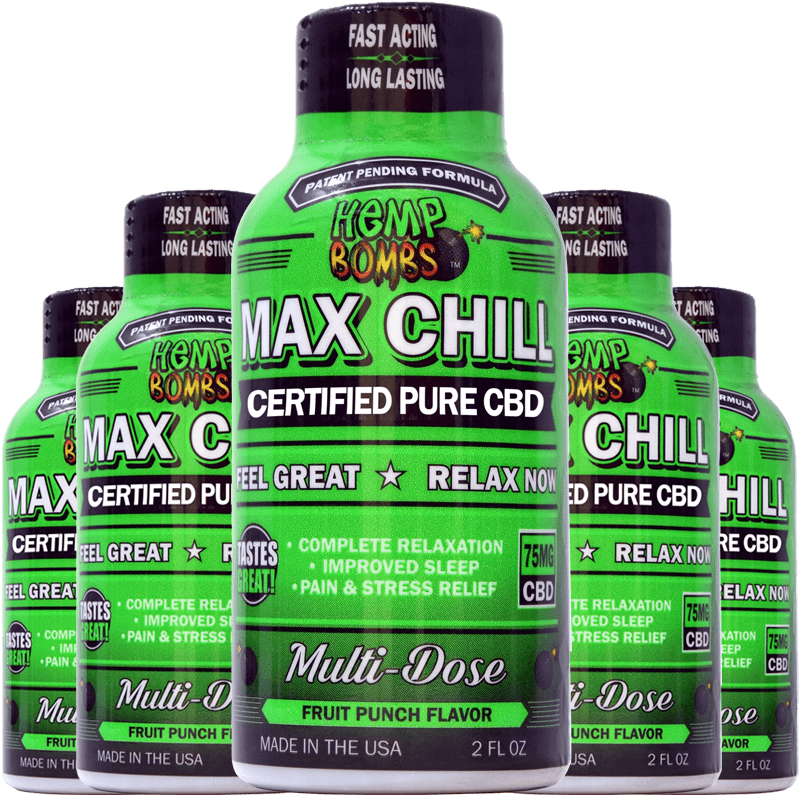 Hemp Bombs Max Chill CBD Shot is a proprietary blend of all-natural ingredients. Designed specifically to provide you with health and wellness benefits, our CBD Max Chill Shot provides the ultimate relaxation after a long day. Industrial Hemp-derived CBD combined with White Willow Bark and Passiflora makes our Max Chill Shot a pure and natural mood enhancer. 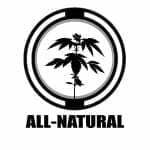 While other companies utilize artificial, harmful additives, Hemp Bombs will only use botanicals known to help you feel great and relax. Our CBD is certified organic and grown by domestic farmers who have shown a commitment to sustainability. Mixed with your favorite drink or taken on its own, the effects of the CBD Shot are sure to be long-lasting. Our CBD Chill Shot is taken orally and remains in your system much longer than other products might. If you are facing problems such as anxiety, stress, pain, and poor sleep, our CBD shot has the potential to provide relief that won't fade after a few minutes. Whether you’re catching a flight or simply facing a lot of stress, our CBD Chill Shot is here to provide you with an encompassing calm that may promote overall wellness. The CBD Shot comes in a portable bottle designed for ease of access. No matter where you are, make sure to have Hemp Bombs Max Chill Shot on hand to access the multitude of health benefits CBD has to offer. You can keep our CBD Shot on your desk, tucked away in a drawer or display it proudly. Regardless of your need for discretion, it's an ideal product for those who find themselves consistently busy. Hemp Bombs Max Chill CBD Shot packs an effective 75mg CBD dose into a small bottle to help even the worst sleepers. If you struggle with insomnia or feel restless once bedtime rolls around, the soothing properties of our CBD Shot may help put your mind and body at ease. 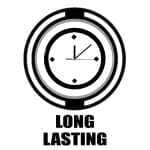 Take it before you go to bed, and you may experience the best night’s rest of your life. CBD, or Cannabidiol, is a compound derived from Cannabis. While some companies derive their CBD from Marijuana, Hemp Bombs CBD is derived from Industrial Hemp, a low-THC Cannabis plant that is known for its potential health and wellness benefits. We isolate all of our CBD during production, which means that it contains 99 percent Cannabidiol and 0% THC. Hemp Bombs CBD Shot is federally legal and won't cause a failed drug test or any psychoactive effects typically associated with getting "high." Hemp Bombs knows that your health comes first, which is why we prioritize high-quality products and transparency about our production process. Some CBD companies take advantage of lax regulations and are untruthful about what's really in their product, but Hemp Bombs will never cut corners by giving you anything other than pure CBD. Our team is dedicated and focused on remaining a top CBD brand, which is why we do everything in-house and employ teams dedicated to quality control, reputation management, customer service and product development. When you purchase from Hemp Bombs, you can rest assured that you're buying a product that's been handled with care from stalk to seal.